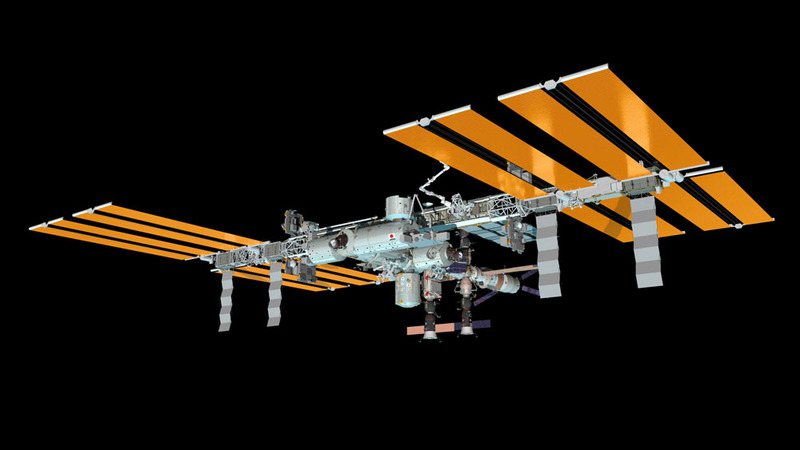 An ISS Progress 46 cargo craft will undock Thursday at 7:04 a.m. EDT with its load of trash and discarded gear. It will deorbit nine days later after engineering tests for a fiery destruction over the Pacific Ocean. The ISS Progress 47 will replenish the crew when it arrives at the International Space Station Sunday morning. The resupply ship with its manifest of food, fuel and supplies is scheduled for launch Friday at 8:50 a.m. from Baikonur Cosmodrome, Kazakhstan. Commander Dan Burbank and Flight Engineers Anton Shkaplerov and Anatoly Ivanishin are getting ready to end their stay on April 27. They will undock at 4:19 a.m. in the Soyuz TMA-22 spacecraft and land in Kazakhstan a little over three hours later ending Expedition 30. The first commercial cargo craft to visit the station is targeted for launch on April 30 at 12:22 p.m. For its test flight the SpaceX Dragon capsule will deliver food, experiment gear and station hardware. After a series of demonstration maneuvers it will rendezvous with the station to be grappled and berthed to the Harmony node. Flight Engineers Don Pettit and Andre Kuipers are training for the arrival of the Dragon capsule. They will work in the cupola and use the Canadarm2 to retrieve Dragon and berth it. After 18 days of cargo transfers the duo will then detach and release Dragon for its splashdown in the Pacific Ocean 250 miles off the U.S. west coast. Finally, three new crew members are scheduled to arrive at the orbiting laboratory’s Poisk mini-research module on May 17. Flight Engineers Gennady Padalka, Joe Acaba and Sergei Revin will dock in the Soyuz TMA-04M spacecraft joining Pettit, Kuipers and Expedition 31 Commander Oleg Kononenko. Meanwhile, all six crew members are conducting international science while maintaining the systems and operations of the International Space Station.